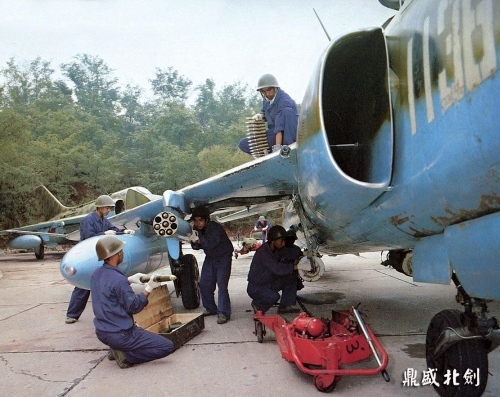 The People's Liberation Army Air Force - PLAAF needed a close air support aircraft type in the sixties. In the 1950s, unfortunately, they did not have enough engineering capacity to develop a new type. 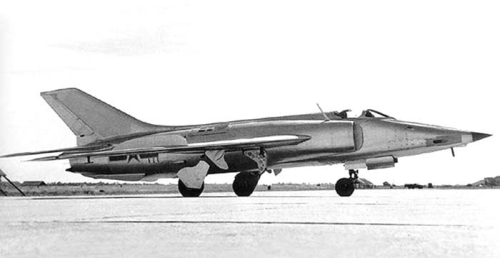 Previously, they received the Soviet MiG-19 type designs, which became the basis for the new model. The concept of Soviet Sukhoi Su-7 Fitter and American Republic F-105 Thunderchief has also been studied. 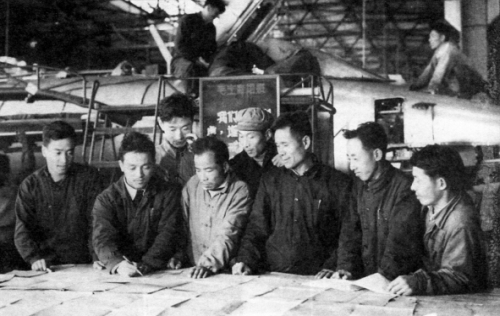 The Shenyang aircraft factory presented a preliminary design concept in early 1958; incidentally, the students of the Shenyang Aviation Institute had a hand in the design process. In August of the same year Wang Xiping, Director of the Aviation Industry Bureau, and his deputy Xu Changyi decided that development of the attack aircraft should be undertaken by the Nanchang factory (which had by then gained some experience with jets). Development of this aircraft initially designated XionYing-302 (Mighty Eagle-302) but soon renamed Q-5 (Qiangjiji - attack aircraft) began in August 1958 under the supervision of Lu Xiaopeng, the factory's Vice Director. A team of ten Nanchang factory engineers, including Vice Chief Engineer Feng Xu and section director Gao Zhenning, was sent to Shenyang to work on the general layout. 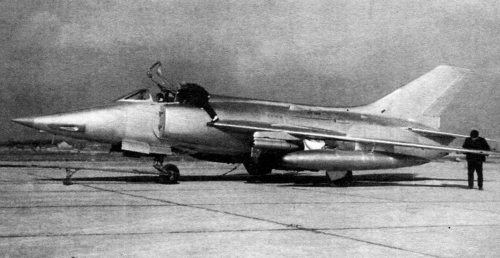 The fuselage of MiG-19 was completely redesigned and some 25% longer, with new forward and centrer sections; only the aft fuselage remained relatively unchanged. 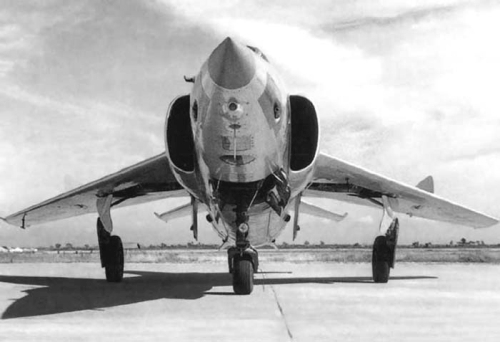 The bifurcated nose air intake gave place to a long pointed nose giving a better view downward; the nose housed avionics, with a view to possibly installing a radar later on. The engines now breathed through oval-section lateral intakes flanking the cockpit, with short boundary layer splitter plates. This more draggy arrangement, coupled with the higher gross weight, reduced the Q-5's top speed substantially (by Mach 0.23), as it turned out. The canopy was much shorter and aft-hinged, not sliding. A full-size mock-up of the Q-5 was constructed and shipped to Beijing for review in October 1958. Chen Geng, the Vice-Chief of the General Staff, assessed the project and approved it, clearing the way for prototype construction. 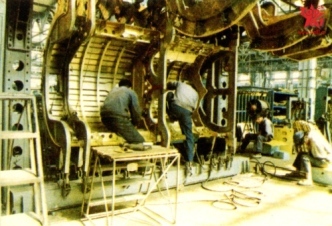 But in 1961, when prototype construction was underway, the Q-5 program was canceled due to financial difficulties in the aftermath of the Chinese Communist "Great Leap Forward", the 300-strong design team was disbanded and the prototype production line dismantled. 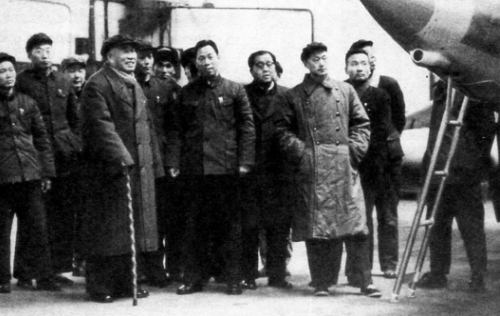 Lu Xiaopeng and Feng Anguo, Director of the Nanchang aircraft factory, refused to put up with this and eventually got the programme reinstated two years later. But the program has become secondary. Later Deputy Minister of Aircraft Industry Xue Shaoqing visited the factory and checked on progress, the programme was suddenly back in favor and development was speeded up again in 1963. The third Q-5 prototype (c/n 04) with drop tanks and FAR pods. The cannons have been moved to the wing roots. The unserialled first prototype Q-5 (c/n 02) took to the air on 4th June 1965 with test pilot Tuo Fenming at the controls. 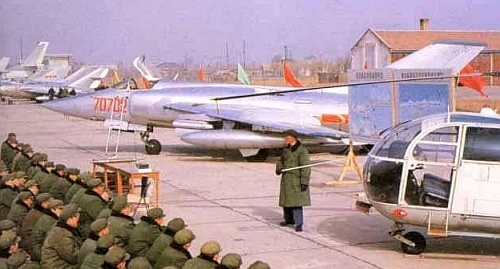 On 10th March 1966 the aircraft was demonstrated to Ye Jianying, Vice Chairman of the Military Commission of the Central Committee of the Communist Party. The type entered service in 1969 when the Sino-Soviet relations were at their worst. The Sino-Soviet hostility was a big reason for the Q-5 to enter service. At that time the Soviet Union had deployed troops in the Sino-Soviet border, and the Chinese army had an urgent need for a ground attack aircraft to cope with the formidable Soviet tank divisions. At the beginning of production at the Nanchang factory was slow due to the Chinese Cultural Revolution. They had many quality problems. The production accelerated after the revolution in the late seventies. By the early eighties, four Chinese Air Division of PLAAF received the new first generation Q-5 basic bomber version. The PLAAF's 22nd and 50th Air Division defended the Chinese border from the Soviet Far Eastern and Transbaikal Military District. 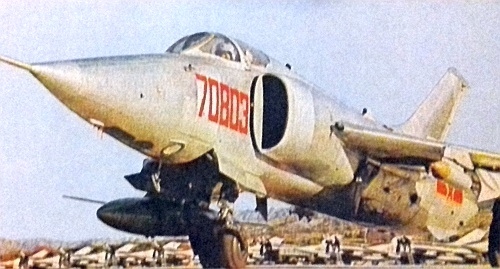 The 50th Division was founded in 1971 with the MiG-15bis Fagot-B, followed by Nanchang Q-5 ground attack aircraft type. Its task was also the defense of the Chinese capital, Beijing. 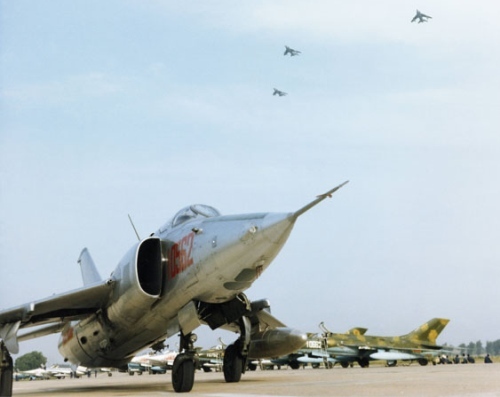 At the end of the seventies, they stood opposite with the Soviet MiG-21bis Fishbed-L and MiG-23M Flogger-B. 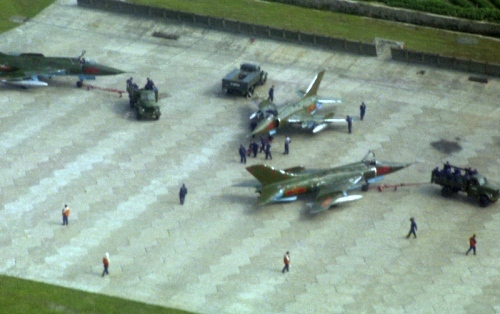 Nanchang Q-5 Fantan attack aircraft of the 50th Air Division on a military presentation. 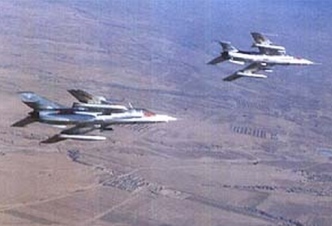 The 50th Air Division defend Beijing with Q-5 Fantan attack aircraft in the seventies. 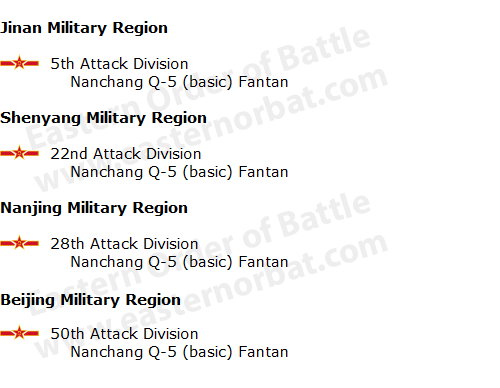 The 5th Air Division defended China against US troops deployed in South Korea. In the seventies, the IL-28 Beagle type was replaced by the new Q-5 basic first generation version. They were only 150 to 200 km (100 - 130 miles) from South Korea, where Korean F-5A Freedom Fighter and Korean-American F-4D Phantom IIs were stationed. 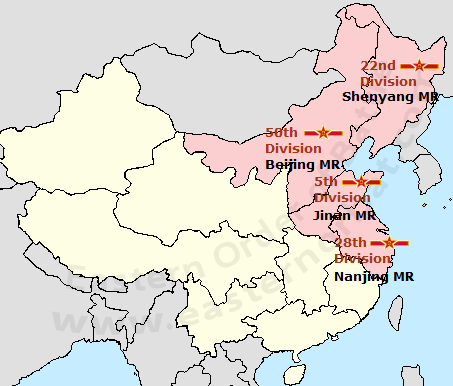 The 28th Air Division defended Shanghai and the surrounding industrial area in peacetime. Also in the seventies, their IL-28 Beagle bombers were replaced by Nanchang Q-5 Fantan. 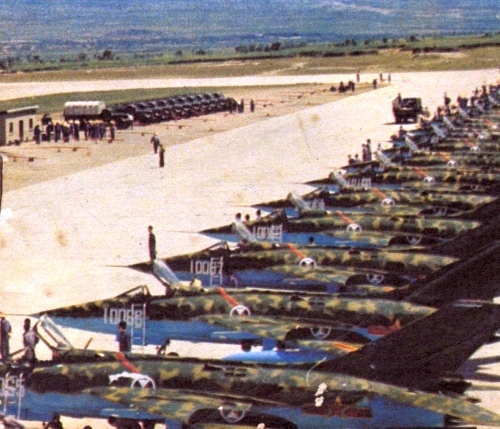 If they were occupied by Taiwan, the 28th Air Division would have fought the F-100A Super Sabre, F-5A Freedom Fighter and F-104A/G Starfighter fighter types at the end of the seventies. The Q-5 basic first generation type used the MiG-19 Farmer's old Soviet navigation, radio and weapon systems. The Chinese engineers incorporated a small internal weapon bay about 4 m (13 ft 1 in) long, similar to the American F-105 Thunderchief type. The maximum ordnance load was specified at 2,000 kg (4,409 lb). The aircraft could carry Soviet 54-series FAB-50, FAB-100, FAB-250 bombs and ORO-58 rocket launcher and the Chinese copy of the S-5 57 mm (2,24 in) unguided rocket. The built-in armament consisted of two Type 23-2K cannons with 100 rpg in the the wing roots. 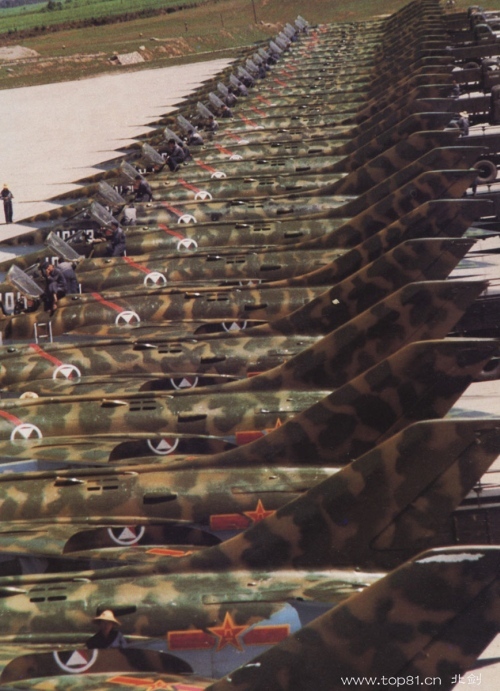 The Chinese Nanchang Q-5 Fantan was painted on the camouflage in the late seventies. On this picture shows the metal and camouflage colored Q-5 too at 5th Air Division. 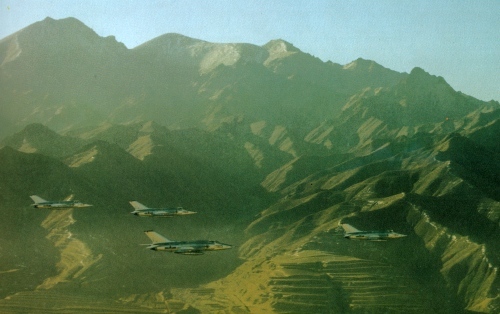 Around 1980, the 5th Air Division's crews load two HE bombs on their Q-5 fuselage stations, two eight-round unguided rocket pods load with S-5 rocket on the inboard wing pylons, and two 760-liter drop tanks on the center wing stations. 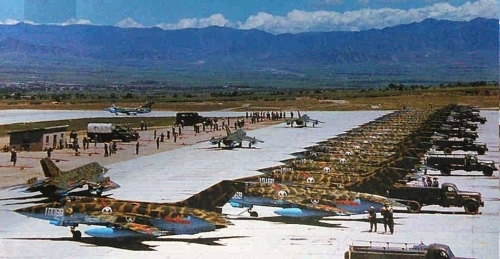 Below: The spectacular practice of the 5th Air Division around 1980 in the Jinan Military Region. At the end of the seventies, they stood opposite with the Korean F-5A Freedom Fighter and American F-4D Phantom II types. 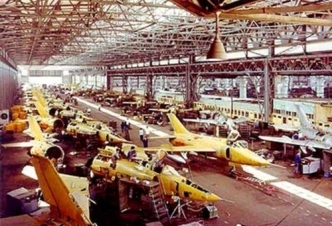 Meanwhile, In the early seventies, the Nanchang factory manufactured by some special Q-5 versions. The Q-5A nuclear bomb carrier prototype entered flight test on 1st August 1970. A small quantity of Q-5As was built. 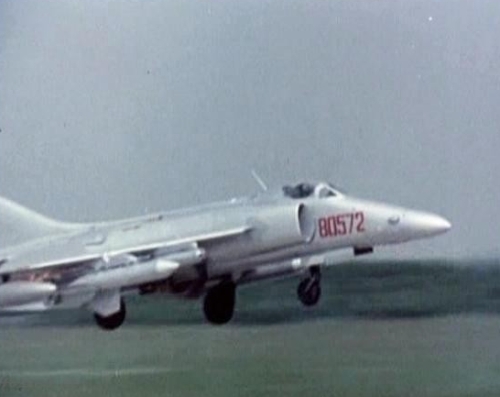 One such aircraft was used to perform China's 13th nuclear test at Lop Nor on 7th January 1972. The Q-5A was too limited for the range. The Q-5B torpedo bomber made its maiden first flight on 29th September 1970 with Tan Shikun pilot at the controls. A second version of the Q-5B was to be armed with anti-shipping missiles. Later the People's Liberation Army Naval Air Force (PLANAF) chosen the Xian H-6D (Tupolev Tu-16) anti-shipping missiles carrier. The Nanchang Q-5A and Q-5B version was never operated in active Chinese air unit! Both special versions were just a prototype! 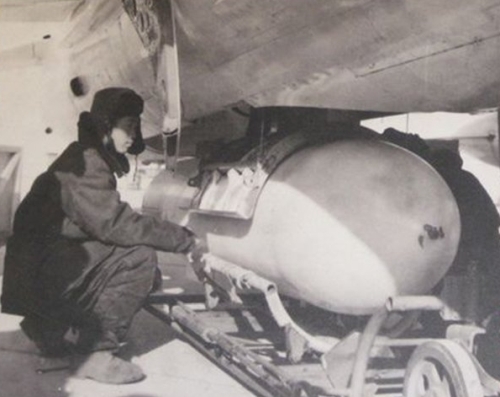 Chinese trainer nuclear bomb under the Q-5A aircraft fuselage. The land-based ballistic missile force and the Yian H-6 bombers took over the tactical nuclear strike role in the seventies. First prototype of the Nanchang Q-5B torpedo bomber with metal nose.